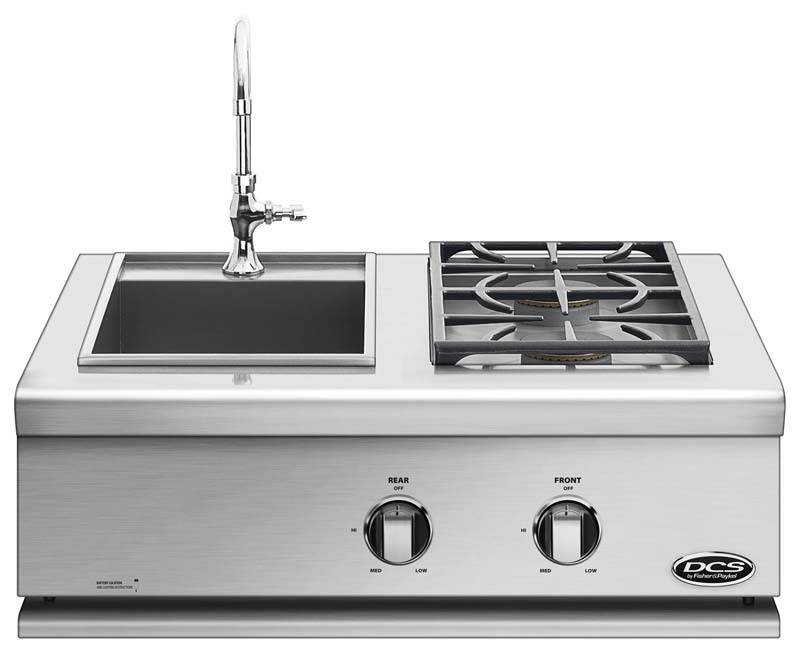 Removable stainless steel cover protects the unit when not in use. 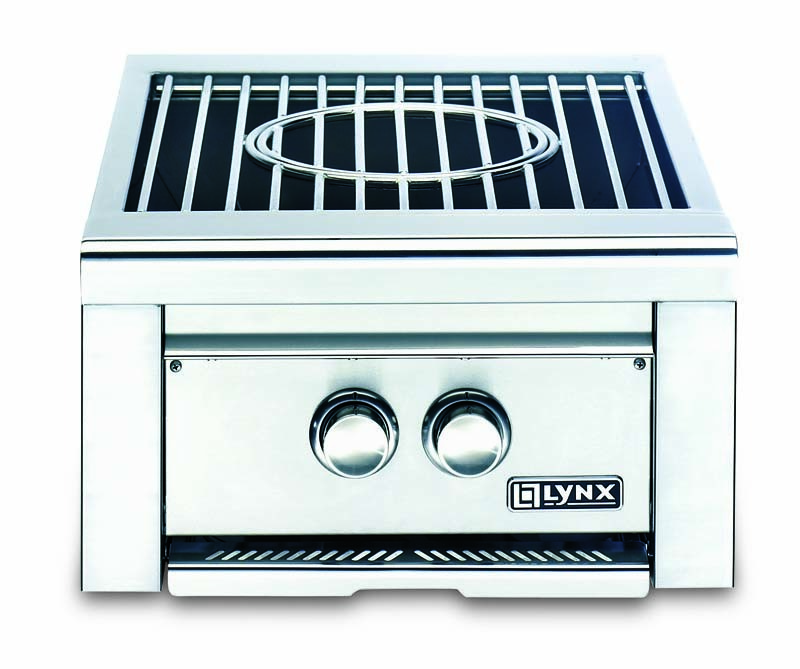 The Lynx Power Burner features a cast brass burner rated at 46,000 BTU and dual rings that can be operated independently for maximum heat control and exceptional cooking performance. 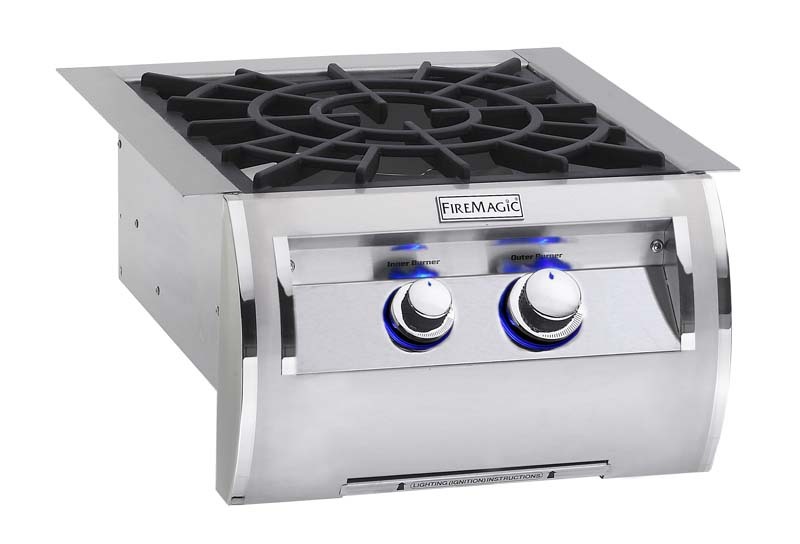 Removable center grate feature allows this unit to accommodate a commercial style round-bottom wok. 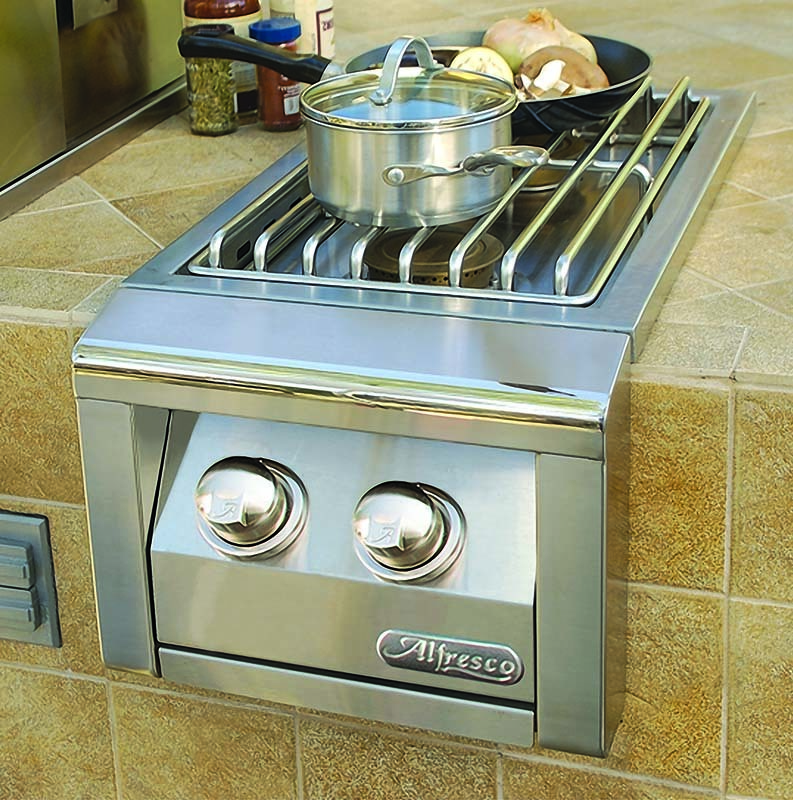 Replace the center grate and the unit is ready for an oversized stockpot or pan. 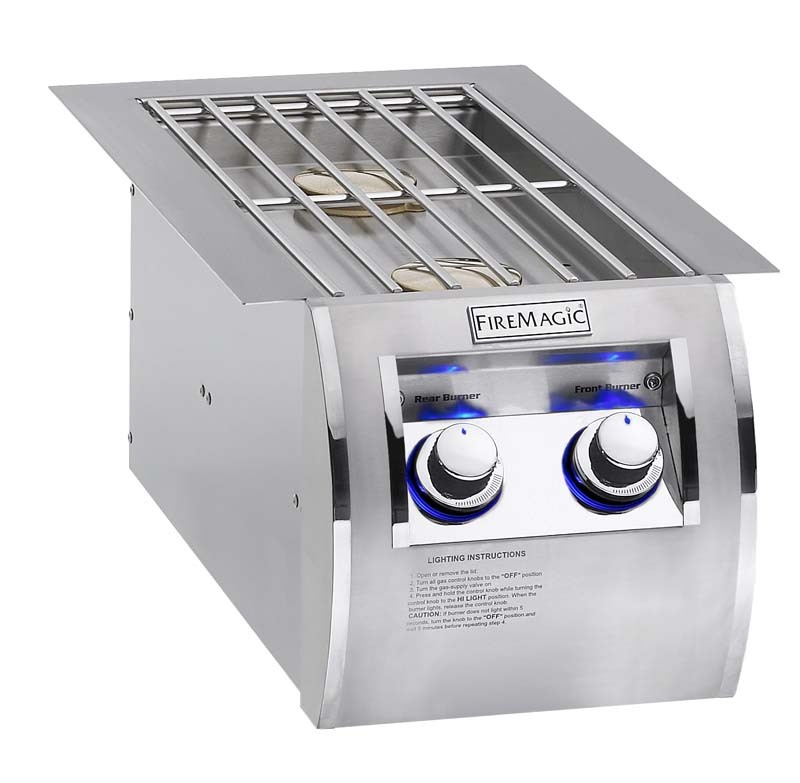 Also features blue LED control illumination, fully extendable drip pan, removable stainless steel cover and glow-coil ignition system.